Bitsing is mainly based on information, data. Populating the models with data produces answers, which tell you what to do to achieve your goal. But what is data, actually? We’ve all heard of ‘big data’ … that organisations are sitting on extremely large amounts of data. But what happens when that amount is really big? When it’s from several sources. When there is so much of it that you no longer know what to do with it, or how to apply it? Let’s visit one of the world’s largest IT companies, Hewlett Packard Enterprise (HPE). They own the largest volume of large-business client data in the world. How does HPE handle this amount of data? How do they select the right data from this mountain of information and apply it in such a way that the company grows? I call on Martijn Boermans, Sales Program Manager EMEA (Europe, Middle East & Africa). Martijn initiates date-driven sales programmes and is responsible for their international rollout. Martijn continues: “I started using Bitsing after reading your book. It was given to me by a business contact. This triggered me to deepen my understanding and take a master’s course at Nyenrode University. There I was exposed to the background of the Bitsing method and got hands-on experience in applying the method to current HPE data. Which was very inspiring. “It was clear from the start that the model and the methodology of information management yielded so many data points that I could make good use of the Bitsing scientific method. I extracted and converted the data relevant for Bitsing from our big data. I formed this into a single, integrated overview covering regions, countries, markets, customers, product lifecycles, related sales activities and so on. Focus and clear prioritisation: We could immediately see which programmes were necessary for the coming year, as well as the relevant priorities and planning requirements. This focus clarified things enormously. The big data analyses and HPE information flows, in conjunction with our self-developed Bitsing overview, now direct our selection of the right product/market combinations. At the same time we get a visualisation of our strategic focus, our tactical product and operational marketing programs and, most importantly, the continuous turnover stream produced by these programmes. Results, conversion ratios and the relative importance of our regions: What I really like is the insight we get into the development of the conversion rates, per Bitser step, as we roll out the various components of our sales programme (marketing, sales enablement, sales cycle management and after sales programs). We also get a great view of results by region and country. We can see conversion from prospect to lead and from lead to opportunity (the B, I and T scores). And we can see the scores of the various sales stages within the pipeline and the conversion from pipeline to actual opportunities gained (S, E and R scores). The conversion ratios that emerge appear to be correct and are also in line with my results predictions. Action to be taken: And finally, the third benefit of the model is, of course, a very clear view of what we have to do, at each of the six Bitser steps. 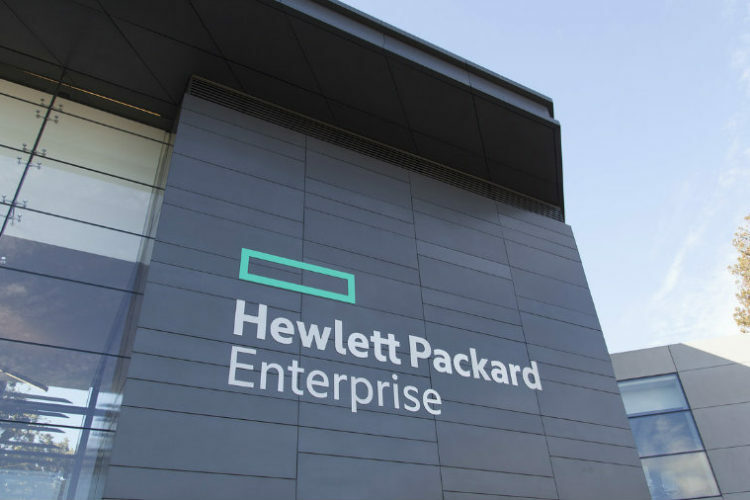 As a result, the alignment of marketing processes at HPE has considerably improved. I was impressed. “So you’ve really derived your own model”, I said to Martijn. “Yes”, he said. “It’s still your, specific method – but basically I have developed systems that make it workable at HPE. The KPIs appear in my dashboard, with recaps showing actual results. You can immediately see where you’re behind, where you’re ahead and if your organisational focus is still correct. In fact, you can immediately see the results of your efforts, your current situation and what you have to do next. Martijn: “It’s the inspiration – especially from the master’s program – and then the experience of applying that. Martijn answers: “In relation to the Bitsing method – adopt it! Absorb the information, adopt the methodology – and find data points in the organisation that will support it. Analyse the information – bring your own perspective to it. Feel free and have fun! This is how you make it applicable to your situation. You can even use BITSING to prove your own ideas and concepts. I adopted BITSING because I wanted to change something. My aim was to improve our programme by applying the method – and that worked exceedingly well. I’m always trying to make everything I do smarter and more efficient. Our organisation has room for new ideas of this type, though you always have to prove their validity. So we still make relatively extensive use of MS Excel as an analysis tool. Now I’m looking for newer BI software – to further improve our insights into the data. Data engineering and data modelling (Big Data tooling) are undergoing huge development at the moment and I think we are ready for the next step in this regard.